Garcia Park. 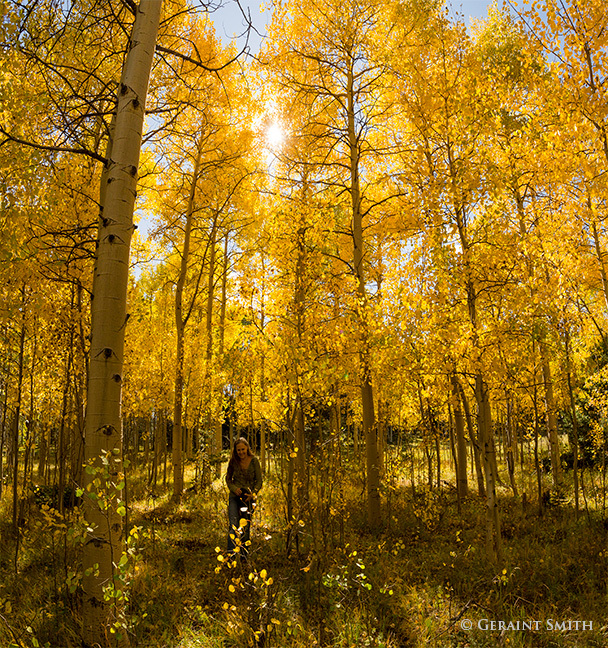 Making images in the aspens during their peak in Garcia Park, northern New Mexico. Almost a pilgrimage every year, in the fall, for the past 30 years. 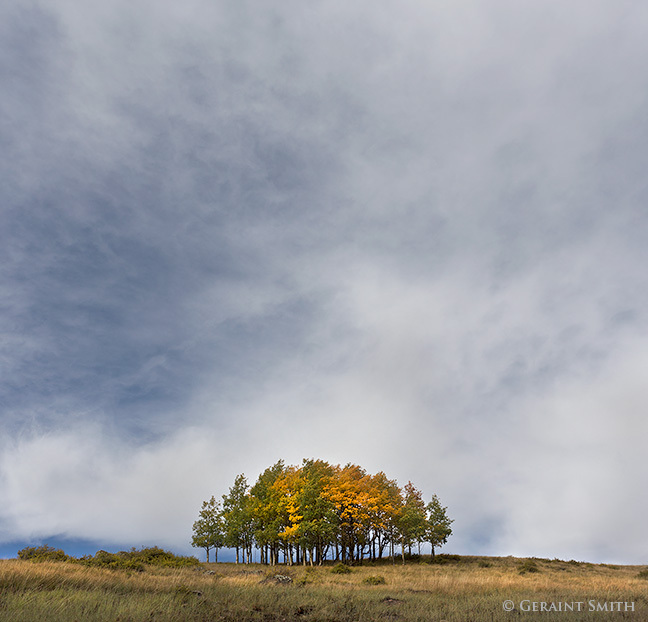 Here’s an image from a few days ago in another area of aspens with a few leaves hanging in there! This area is a prime location for a fall photo tour of private photography workshop. 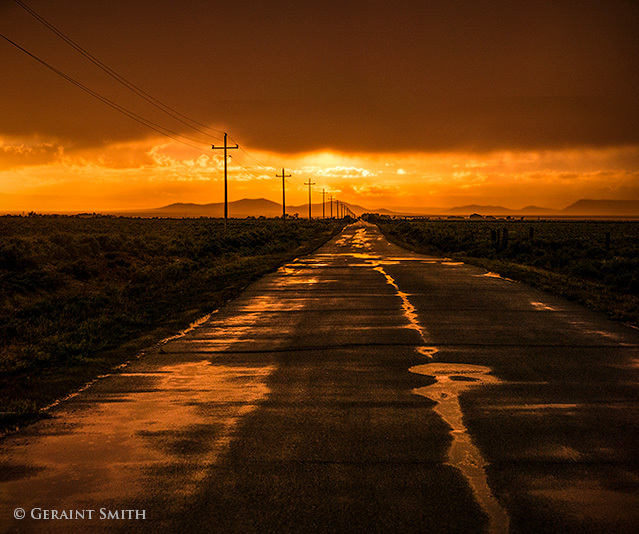 “Road Less Traveled” across the Taos volcanic plateau, enlivened with the added splendor of walking rain, Virga, a mass of streaks of rain appearing to hang under a cloud and evaporating before reaching the ground. 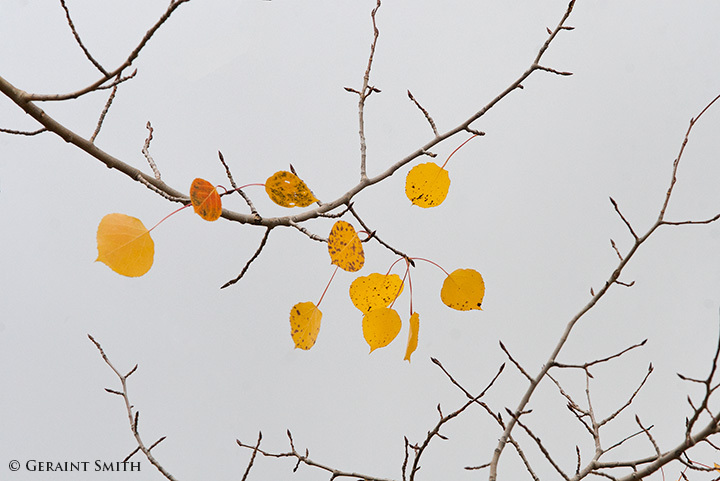 Aspen leaves. There are some areas where the leaves are peaking and some stands of aspen where the few leaves remaining are “hanging in there”. 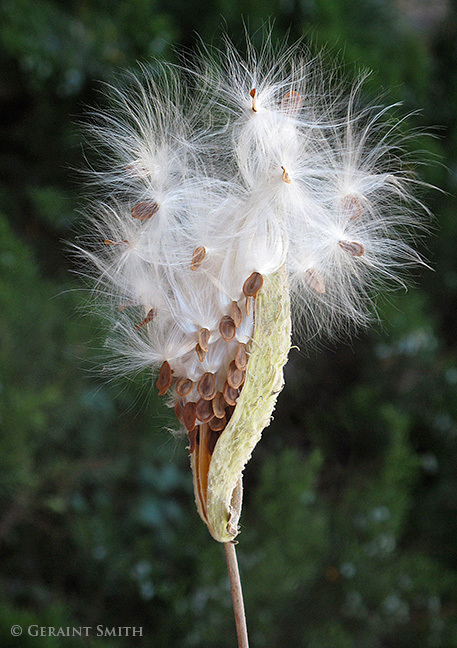 This image was made in Garcia Park in the high country of the Sangre de Cristo Mountains, northern New Mexico. 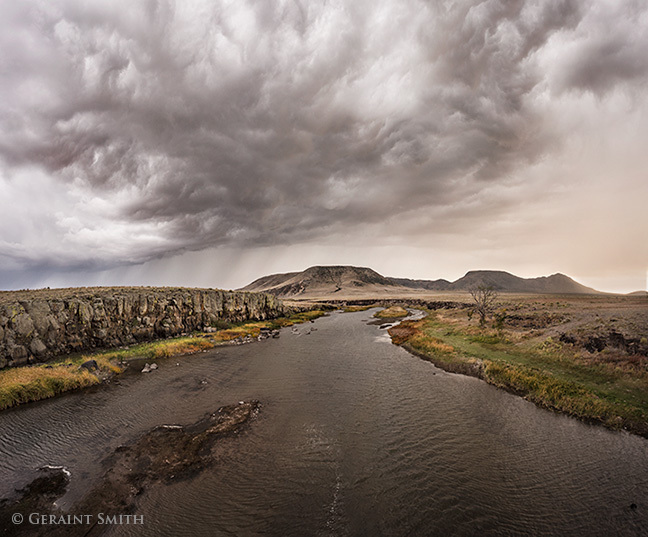 Rio Grande Colorado. Crossing the Lobatos Bridge looking downstream, the Rio Grande starts to wind it’s way through the beginnings of the low rocky canyon walls. It’s a wonderful feeling to stand on the bridge with the water moving relaxed and unhurried below when I get to ponder how many people have crossed the river at this point and who they were. And … before the bridge, did this point serve as a crossing point for pioneer wagons and prior to that the Spanish Conquistadors? 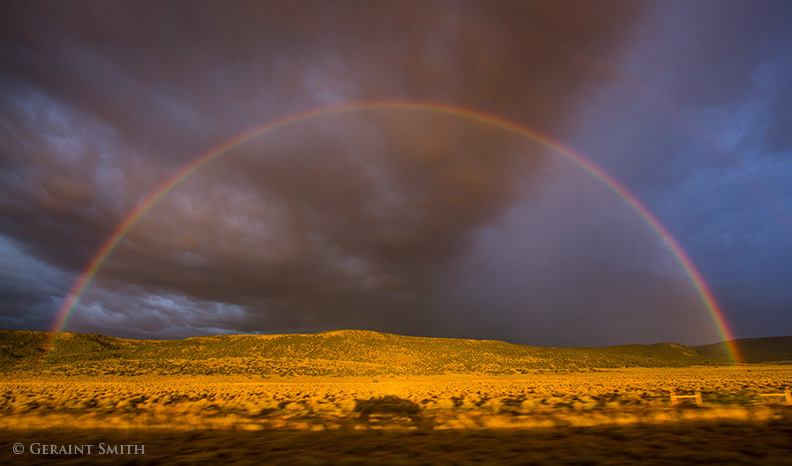 65 mph rainbow … driving home through the San Luis Valley, Colorado. We were in the rainbow for a number of miles as the sun set. At some points along the way we could just make out our shadowy selves, under the rainbow, in the the cab of the truck.